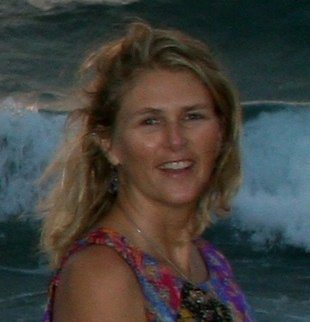 Melissa Kaufmann began her career in 1995 as a Florida state licensed massage therapist with later certifications in neuromuscular therapy and structural integration. She pursued additional training in traditional Thai massage, craniosacral therapy (with the Upledger Institute) and aromatherapy, with an emphasis on the Raindrop Technique and Vitaflex methods with Young Living Essential Oils. Her own health challenges following four pregnancies led her to KMI, as other modalities were treating the symptoms and not the causes of her chronic pain and dysfunction. In 2006, Melissa began her journey of understanding the Anatomy Trains and the ideas of spatial medicine with Tom Meyers and the staff of Kinesis, Inc. Her personal experience with KMI took her to a whole new level of understanding of the human body. She relocated to southwest Colorado in 2007 where she continued to pursue understanding the many layers within. She feels the sessions are brilliantly designed to give the practitioner and client the opportunity to explore new possibilities of moving and being, while releasing old patterns, to bring about more abundant health and wellness. Since 2006, Melissa has had the opportunity to study with other renowned practitioners/teachers in the field such as Don Hazen (Neurology of Posture) and John Martine (Neural Fascial Mobilization) and more recently in 2017 further Treatment and Assessment Methods with Jeffrey Burch. She is passionate about helping others feel freer and more at ease within their own bodies so they may experience a greater quality of physical, mental, and spiritual health.